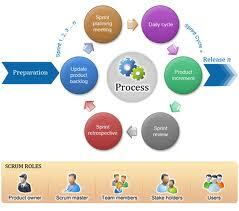 Agile methodology is an alternative to traditional project management, typically used in software development. It helps teams respond to unpredictability through incremental, iterative work cadences, known as sprints. 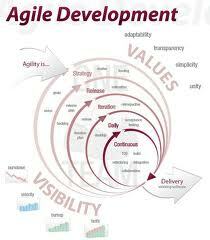 Agile methodologies are an alternative to waterfall, or traditional sequential development. It promotes adaptive planning, evolutionary development and delivery, a time-boxed iterative approach, and encourages rapid and flexible response to change. It is a conceptual framework that promotes foreseen interactions throughout the development cycle. According to wiki, In February 2001, 17 software developers met at the Snowbird, Utah, resort, to discuss lightweight development methods. They published the Manifesto for Agile Software Development to define the approach now known as agile software development. Customer satisfaction by rapid delivery of product (software). Always welcome changing requirements, even late in development. Working software is the principal measure of progress. Regular,Close and daily interaction between developer,users and Managers. Face-to-face conversation is the best form of communication. Projects are built around motivated individuals. Continuous attention to technical excellence and good design. 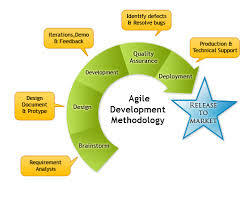 Agile development methodology provides opportunities to assess the direction of a project throughout the development lifecycle. 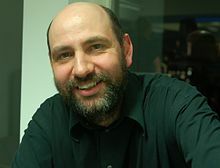 This is achieved through regular cadences of work, known as sprints or iterations, at the end of which teams must present a potentially shippable product increment.Agile methodology is described as “iterative” and “incremental.” In waterfall, development teams only have one chance to get each aspect of a project right. In an agile paradigm, every aspect of development — requirements, design, etc. — is continually revisited throughout the lifecycle. This approach makes the team to work parallel, when they are gathering requirement and thus in turn it reduces the cost and time of the project. This approach give you right product, i.e exactly what you want. Happy reading and look forward to your comments and feedback on this.